We tested the Mango Bikes Point R, a sub-£1000 alloy machine. Mango Bikes is the brainchild of two former university housemates, Ben Harrison and Jezz Skelton. At the start of 2012 they first mooted the idea of creating and selling bikes to students; and by that summer as Olympic fever swept the country Mango Bikes was launched. The brand initially built its reputation on affordable bikes designed to appeal to the urban fixie scene as well as cash-strapped students. However, with the Mango Bikes Point R it is looking to branch out to the wider cycling world. The company calls the Point R its fastest bike to date and says that it spent 12 months creating the ultimate sub £1,000 aluminium bike. The Point R is visually striking. 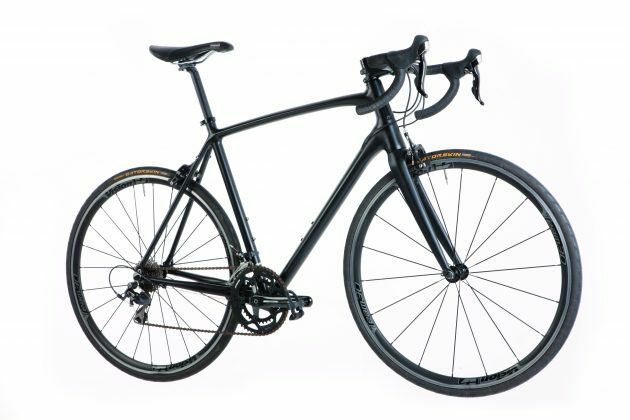 The all black 6061 aluminium frame is paired with a carbon fork and the combination of smooth welds and internally routed cables create a bike that looks very impressive, especially for £759.99. 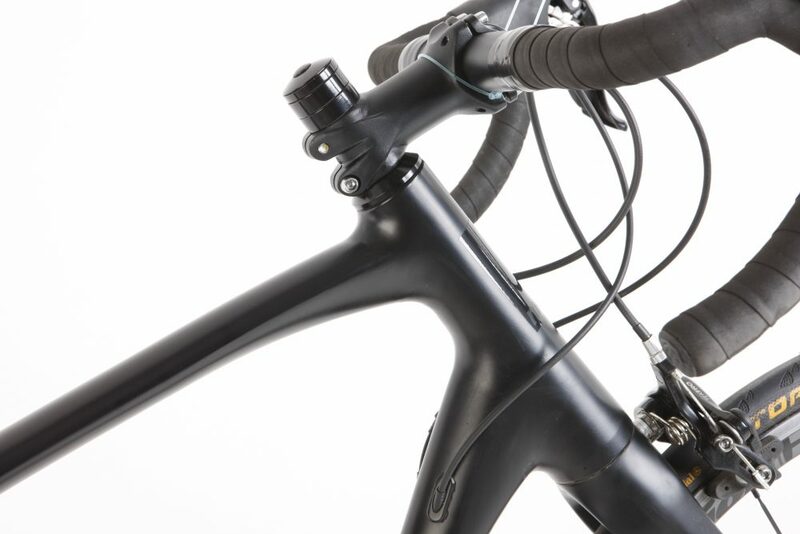 Like many aluminium framesets the tubes have a large, round look throughout. However, on closer inspection you’ll notice that the top tube is quite different — rather than being circular, it has a shallow oval profile, which Mango claims enhances the comfort of your ride. 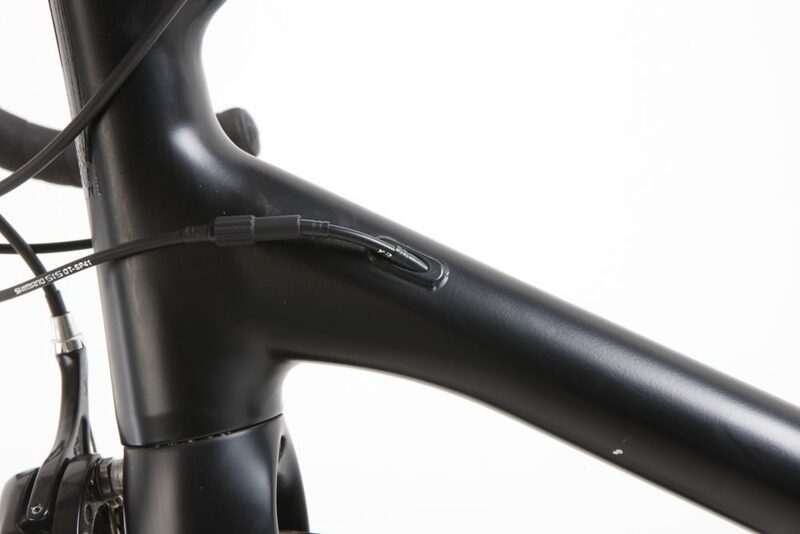 the frame has mudguard eyelets. Although, with a 20cm head tube and a short stem it favours those wanting a more relaxed position. The bike on test comes with the top specification offered by Mango (NB. For the same price you can now get Shimano 105 5800 11-speed and Continental Ultra Sport II tyres), however there are many different options to choose from when selecting your build. The mixture of Shimano 105 levers and derailleurs, along with the FSA crankset, worked well and is good value for below £800. The compact 50/34 chainset and the 12-28t cassette indicate that the set-up is focused on commuters and sportive riders rather than those looking to race. 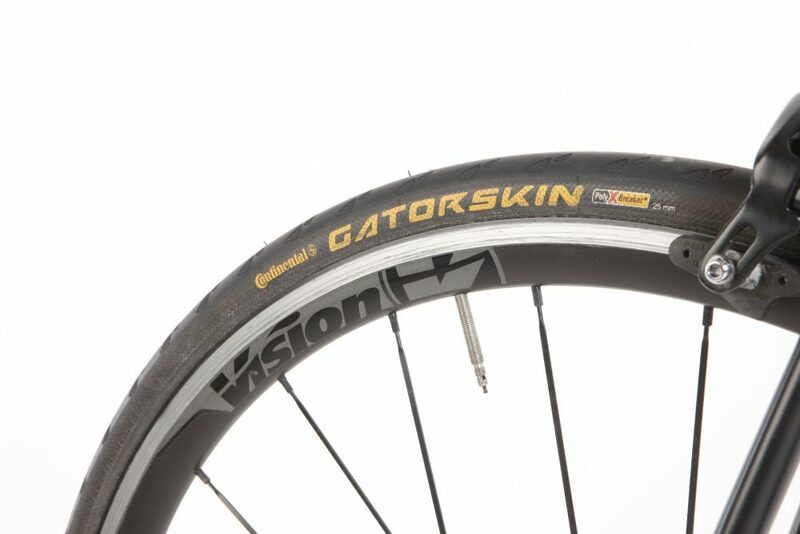 The Vision Team 30 wheels have 30mm-deep rims and bladed spokes while the 25mm Contintental Gatorskin tyres are renowned for their puncture resistance and durability during the winter months. 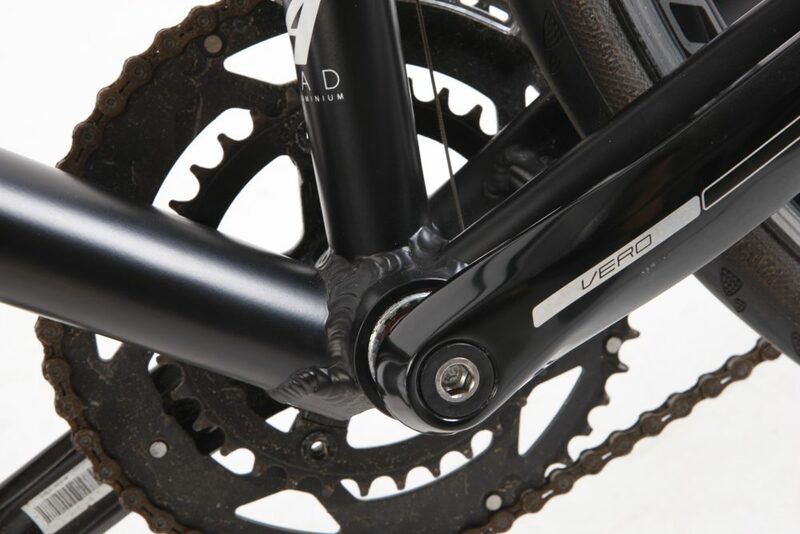 The bike’s finishing kit is from Mango’s proprietary Chasewood brand. The main selling points are its impressive comfort and versatility. On longer rides and across the harshest surfaces, I really appreciated the smooth ride provided by the combination of the relaxed geometry, the exceptionally long wheelbase and the 25mm tyres. The Mango Bikes Point R also doesn’t look out of place on short and sharp group rides. When up to speed you can happily cruise along and the bike holds its pace well. However, as you would expect for a bike weighing close to 10kg, accelerating out of corners isn’t the Mango Point R’s forte and you notice the extra weight when heading up longer climbs. 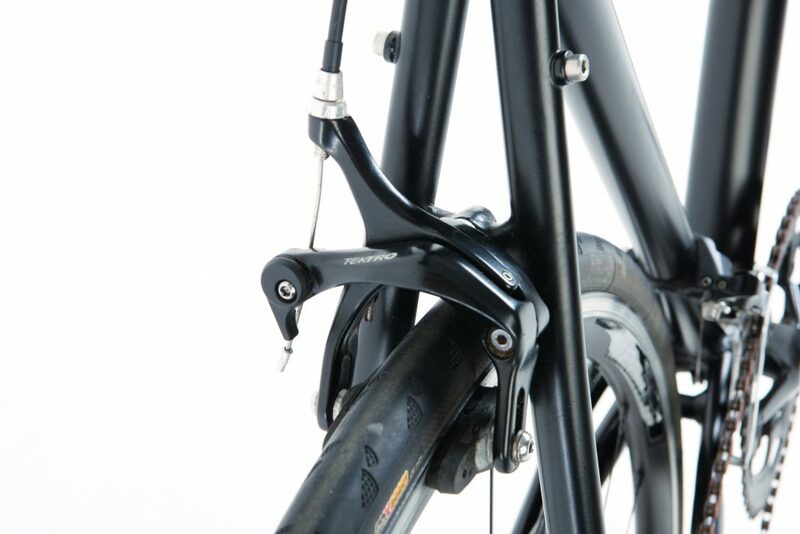 Not everyone will be a fan of the short stem, but if you are a commuter you might appreciate the sharper handling. The responsive steering, along with the consistent braking provided by the Tektro calipers, gave me confidence when descending, even in the wet. For a complete bike costing below £800 you’ll struggle to beat this bike for value. The frame is robust and durable, without too much of a weight penalty; the combination of Shimano 105 and FSA components is impressive at this price point; and, the aero Vision wheels add a bit of a glamour. 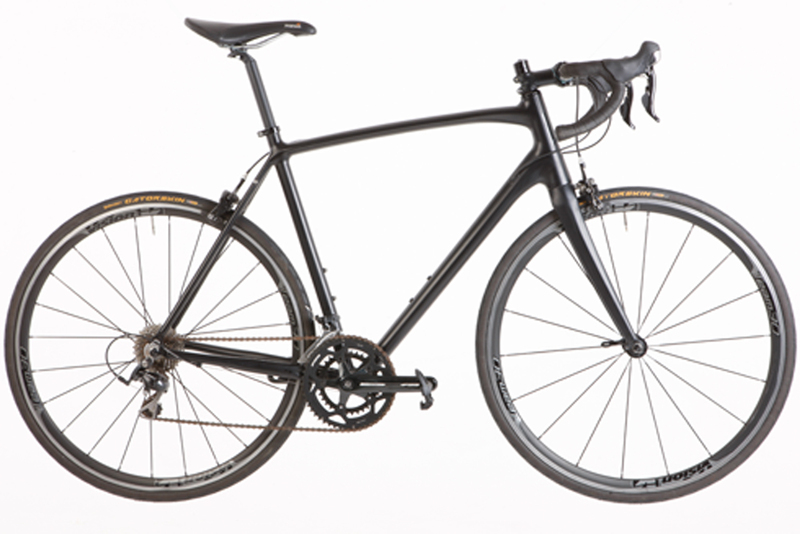 Alternatively, Mango offers lower spec options — starting from £419.99 the Road R comes equipped with a mixture of Shimano Claris and FSA components.